Each plastic comb set is color-coded for easy identification. 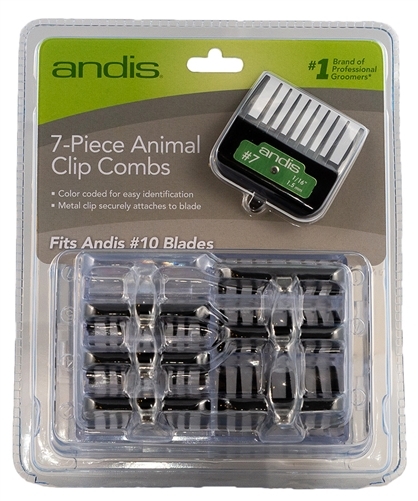 The premium metal clip attaches firmly to the clipper blade. The plastic comb will fit the Andis UltraEdge and CeramicEdge # 10 blade. Includes a clear, hard storage case. Comb sizes are 1/16", 1/8", 1/4", 3/8", 1/2", 3/4", and 1".